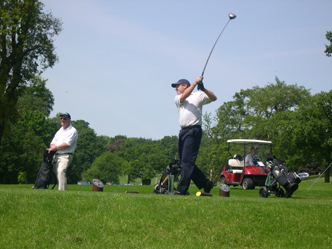 On Tuesday 6 June Keltruck held our first summer golf day of the year at the Marriott Breadsall Priory Hotel & Country Club. We were joined by over 60 customers on a bright, clear & dry day. The event provided a great opportunity for customers to relax with Keltruck staff over 18 holes. We were joined at our evening meal by Black Country comedian, Lee Simpson, who was on hand to offer some light entertainment. Congratulations to all those who won prizes during the awards (lowest score, highest score, nearest the pin, longest drive & putting) following the meal. The Breadsall Priory event will be followed by the Keltruck Scania golf day at Patshull Park Hotel, Golf & Country Club in Shropshire on Wednesday 4 July (see keltruck.com/events for more details).